Over 25 years ago I was a student and a full-time employee at Nordstrom, thriving on the the service-oriented environment. Delighting in the recognition awarded those who went above and beyond for the client, I eagerly answered the challenge of the out of stock, wrong color, wrong size, or otherwise elusive object of my client’s desire: If it didn’t fit, I’d alter it; if it didn’t exist, I’d create it. My dedication to both fashion and client satisfaction evolved into a business creating custom garments the likes of which parallels the great couture houses – an art all but extinct in the contemporary fashion marketplace. Familiar with my particular skill set, a friend asked if I would assist with some bridal gown alterations. Having fallen into the trap of allowing the media to place supercilious labels on people, I was initially hesitant not wanting to be haunted by ‘bridezillas’ and their raging tirades. 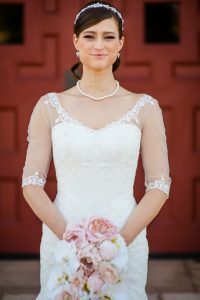 It didn’t take long for me to discover that a bride seeking alterations help with the most important garment she will ever wear in her life only becomes a ‘bridezilla’ when the sewing professional tells her that something cannot be done and fails to provide her with an alternative solution to the problem. 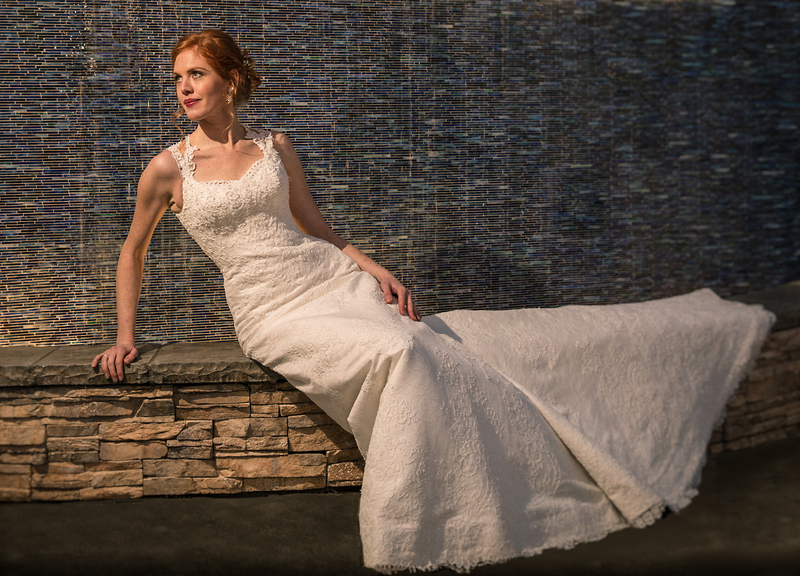 Since I was in the business of solving the most complicated design, fit, and construction problems with creative solutions, altering bridal gowns became the most glamorous, fulfilling, and – by far – the most rewarding part of my work. 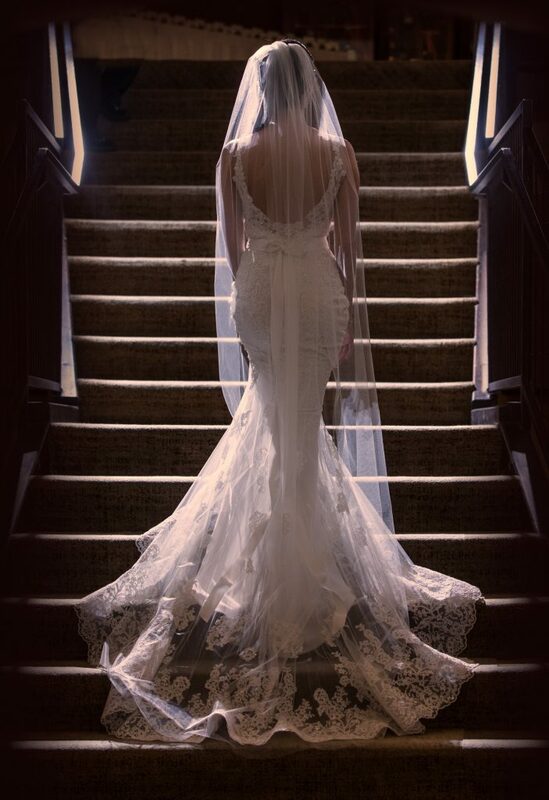 No one appreciates the perfection of an haute couture trained technician striving for excellence like a bride! 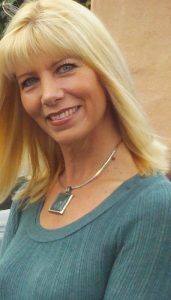 Without fully realizing it I had found the kind of job satisfaction that eludes 90% of the working populace – doing what one loves most and getting paid for it. Since you have navigated to the service page, you probably have a wedding dress requiring alterations. As you may know the cost for alterations depends on what you need to have done. What you may not know is that there are multiple ways to alter a wedding gown, and the fee varies greatly from one tailor to another. My philosophy is every bride and her dress deserve the very best of my couture skills. That doesn’t mean I only work on high end designer gowns; quite the contrary, it means I employ couture techniques while sewing and fitting your gown, no matter who designed it. I am a stickler for details, so you may visit my shop for numerous fittings. However, for the determined bride, relentless in the pursuit of perfection, the additional cost and time commitment yield impressive results. 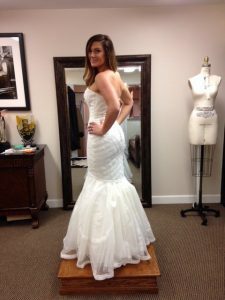 A wedding gown requires a perfect fit because, as a bride, you will be the focus of attention for all of the most significant people in your life, and because how well the dress looks and fits will be scrutinized by you throughout your lifetime in the special moments captured by pictures and videos of your wedding day. 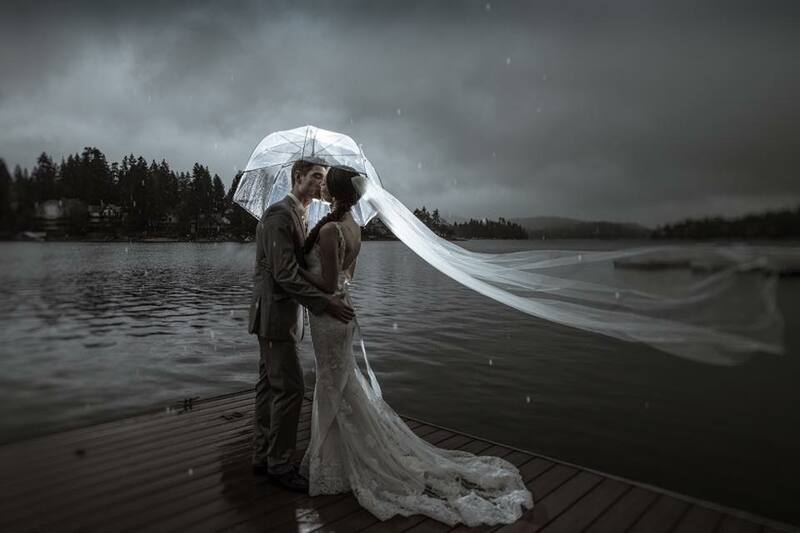 Consider this: a moderately priced wedding gown tailored perfectly will always – without exception – photograph better and look better in real life than an ill fitted designer gown of any price. Each bride will place a varying degree of importance on the dress, as will the people who alter it. 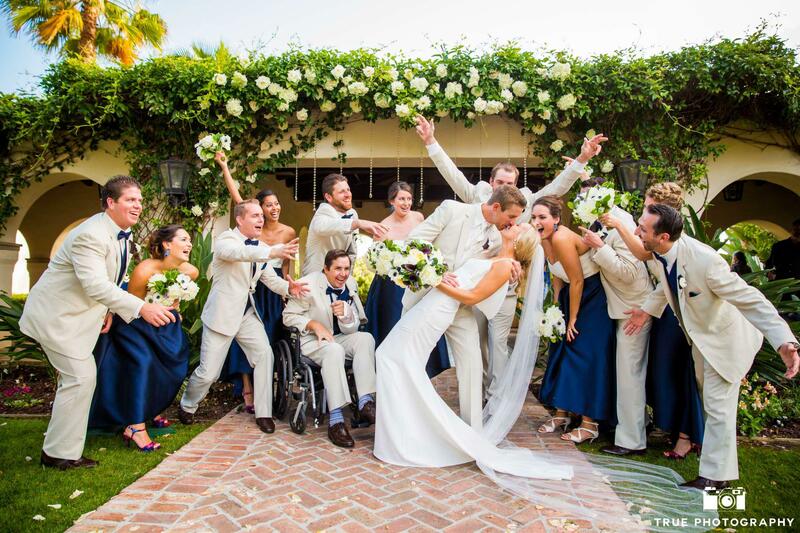 The magic formula is bringing together bride and tailor who are of like mind. Are you a bride who settles for nothing short of perfection? Maybe you are a bride who feels the dress is certainly significant, but other considerations rank higher on the wedding priorities list? Possibly, you are the bride who is somewhere in between? 1) The work you require (or the detailed work you desire) is beyond the scope of the person commissioned, which (unless you sew), you won’t know until your last fitting and your dress still doesn’t fit properly. 2) The bridal salon or the tailor shop are more interested in maintaining a certain hourly rate (read: profit), so the employee tasked to alter your precious gown is compelled to work so fast to finish your dress that important details are overlooked or omitted. 1) Knowledge is power: know what you need so people don’t charge you more and do less! 2) Trust your instincts: if something doesn’t feel right, it very likely isn’t…You only have one dress. Find someone else! 3) You get what you pay for: for okay results, employ a good tailor; for perfect results, employ an outstanding tailor…and, apply rules 1 and 2. I bought my dress from the Bustle in Del Mar. My consultant knew very quickly after watching me pick apart the smallest details of every dress that Roxie was my tailor. I managed to find my perfect dress and ordered some extra fabric and lace to have a custom matching bolero made for the church ceremony. My consultant gave me a few other options for a tailor, but knowing how talented and detail oriented Roxie is, my consultant STRONGLY recommended I go to Roxie. The first time I met with Roxie I was impressed. She noticed the little things (that many did not see) before I had to say anything. She was clear about what we could do and how much it would cost. I wanted more fullness at the bottom of my trumpet gown so instead of using the slip the boutique had suggested I purchased she sewed in some beautiful extra crinoline that she had and did not charge me for the fabric! During each of my 5 or 6 subsequent visits (all included in quoted price) my dress because a work of art made to fit my changing body (I gained a little weight when my husband came home from deployment oops) perfectly. She never seemed frustrated with me for changing or blamed me for my dress not fitting. She took each change with a deep sense of professionalism. When it came to my bustle, I was amazed. I never liked bustles, but they are a specialty of Roxie’s. 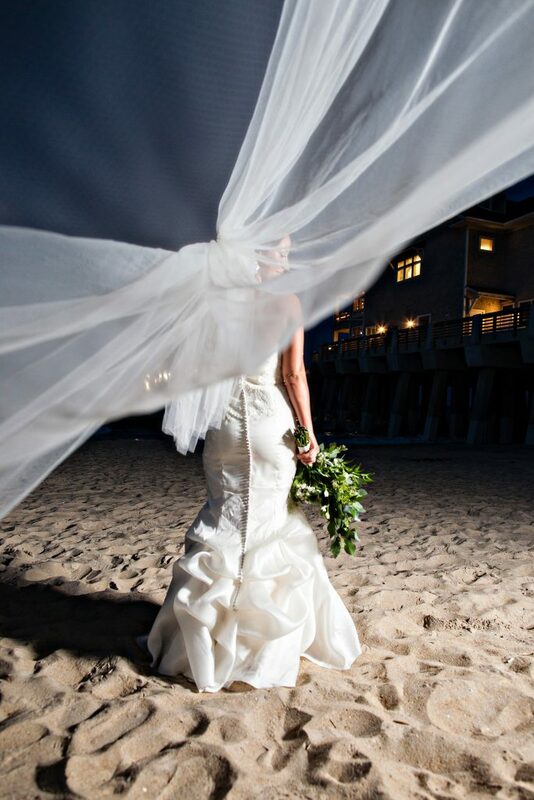 She created a bustle that made my dress not even look bustled! My bridesmaids were surprised to hear about the 50 knots they would have to tie to make my crazy long train go away without taking away from the dress, but at my last appointment, I took two who learned quickly under Roxie’s guidance on how to bustle my dress. 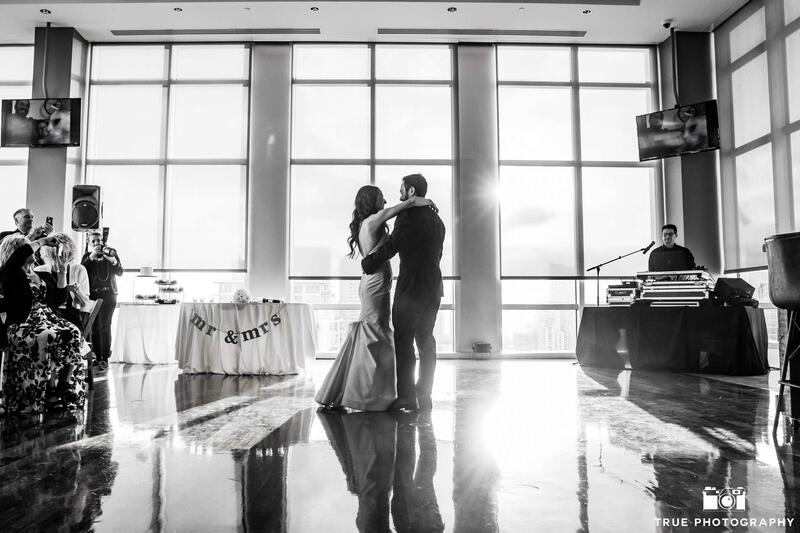 We had no issues bustling on my wedding day. As for my bolero, Roxie made a stunning bolero that fit in perfectly with my dress. 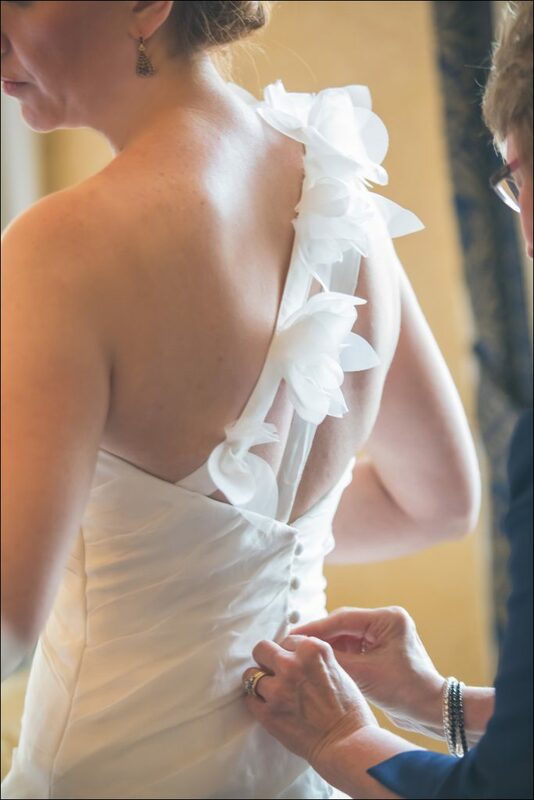 After talking over options, Roxie made my bolero lightly stitched into the top of my dress so that it looked like part of the gown. Roxie taught my MOH how to pull out the stitching to take the bolero off. There was no injury to my dress and it looked perfect!! By the end of my visits, I not only had the perfect dress, bustle and custom designed/made bolero, but I had made a new friend. 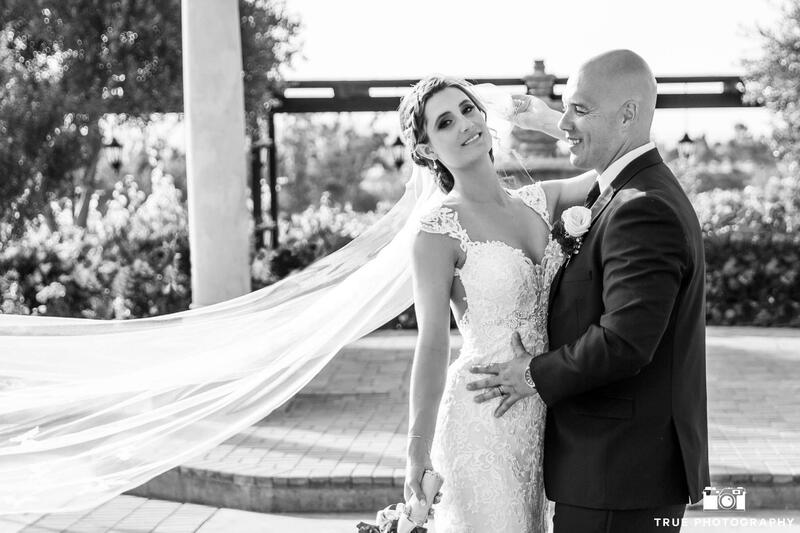 Before meeting Roxie, I thought I was the one who cared most that I looked perfect on my wedding day, but I learned Roxie actually cared more. Rather incredible given my personality and how important looking perfect was to me. Roxie isn’t the cheapest, but think about this…. why spend a bunch on a dress and have it not fit you right or have bad sewing or a ugly bustle when you spend the whole reception bustled? Roxie is a gem and worth every penny. 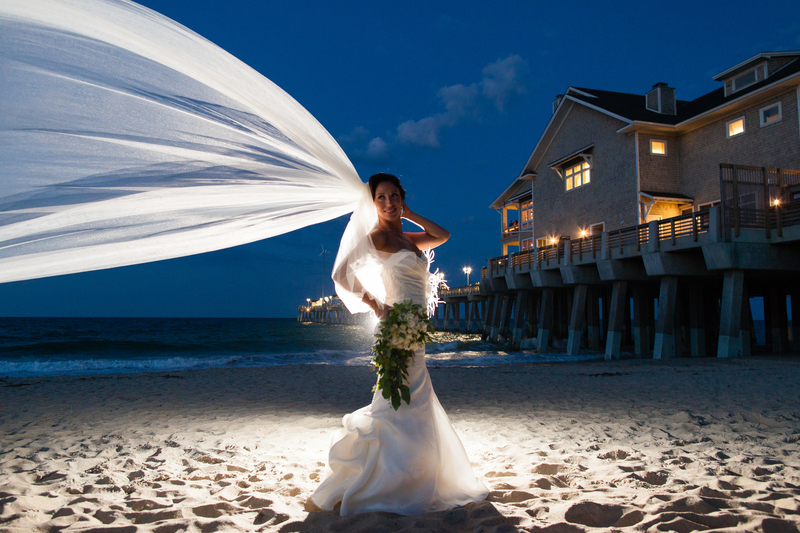 She loves what she does and truly cares about her work and her brides. I’m not sure what else I can say that hasn’t already been said. 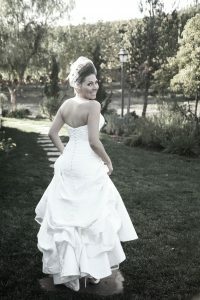 Roxie will work wonders for a wedding dress and goes above and beyond to make sure you walk away looking PERFECT. 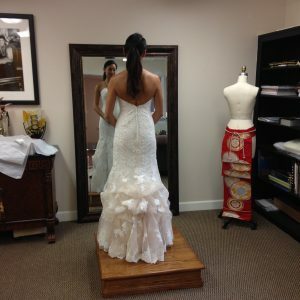 I had about 6 fittings to make sure my illusion neckline and sheer back fit like a glove. I also had a very intricate bustle added and Roxie even went through and added extra details so my bridal attendant could be sure she was doing it right. I went to France two weeks before my wedding and Roxie met with me twice in a week (once at 9 pm at night) to make sure the dress fit perfectly before I traveled to NY for our wedding. She is an incredibly talented and generous person – I wish I had another reason to visit her again! Don’t even think about going to anyone else! 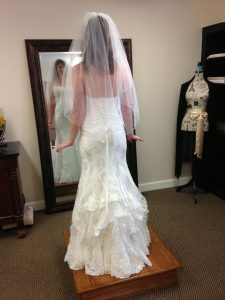 There are no words to accurately describe my experience with Roxie and my wedding dress alterations. She is so extremely talented, and so sweet and caring . She did such an amazing job on my dress. I enjoyed my visits with her and was sad to say goodbye on my final appointment. Thank you Roxie! Roxie is PHENOMENAL! 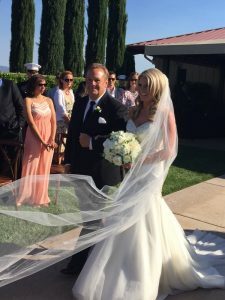 My dress was a few sizes too big, not to mention the lace was so intricate, other places we went too were not so sure on how they planned on making the alterations I needed. Her work is unbelievable and the poor woman works herself to death for “her brides.” 🙂 She truly loves each and every one of the girls that see her and her 100% goal is to make sure you are happy, even if it is at her own expense. She is a little more expensive than most places, but its because she truly puts her blood, sweat, and tears into these dresses (and countless late nights) and it is so worth it. If you have a budget like I did, consider lowering it elsewhere, NOT on your dress alterations. 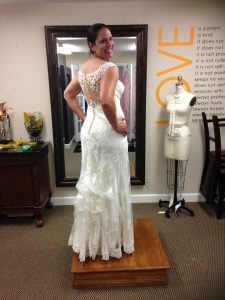 Roxie truly is not only an amazing wedding dress alterationist, but a wonderful person that will work with you and gives you lots of advice for the wedding day! Go to her before purchasing shoes or undergarments as well, she knows all the little tricks! If it weren’t for her, I wouldn’t have realized the shoes I bought made my feet throb within minutes and she immediately had a solution and I purchased new shoes that same day. Thank you so much Roxie! I will be sending all of my girlfriends to you! Roxie is amazing!! She was on a list of recommended seamstresses, but I initially didn’t call her because she was an hour away from me. So…I went with someone else for a first meeting. Let’s just say that I left that appointment feeling very uncomfortable with leaving my dress there. I called Roxie and she picked up immediately! The dress I bought was a lot larger in the chest than what God has blessed me with, plus it has a lot of boning, so I wasn’t sure how she was going to fix it. She first asked me what vision I had for my dress and I had no idea. She then started listing off things that she wanted to fix. The reason why I left there feeling so comfortable was that she told me exactly how she was going to do everything. She also told me what to expect of the dress every time I would go in for a fitting. She is so flexible with her schedule. She sometimes would meet me at 8:30 at night! I would HIGHLY recommend her! Roxie is an amazing person and an incredibly talented artist. I found dress shopping to be one of the most stressful parts of wedding planning. Aside from the cost you know that everyone will be looking at you, its a crazy amount of pressure!! I ended up buying a sample gown that was about 4 sizes too big for me. Roxie had to basically remake my dress. I asked her to change the lace-up back for a zipper with bottoms trailing all the way down the dress, she lowered the back and completely rebuilt the bodice. She hemmed and did an amazing french bustle. Overall, I saw her 7 times throughout the course of my alterations. She never rushed me (meaning she let me stay in my dress, I loved it so much it was hard to take off!) she listened to every concern that I had and she did beautiful work. I included before, progress and after pictures of my dress, but it really doesn’t do it justice. Roxie single handedly made me feel like a beautiful bride on my wedding day. I read all of the reviews below and I couldn’t agree more! 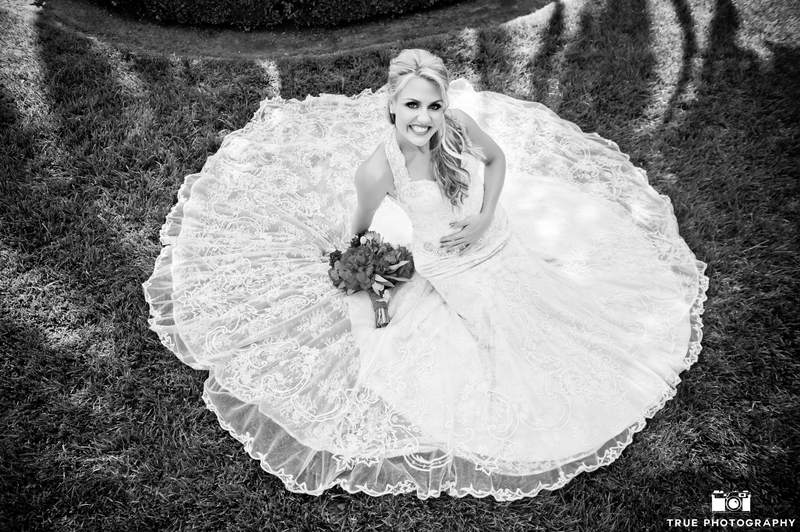 Roxie really does go above and beyond and takes as many sessions as she needs to get the dress perfect! I couldn’t have asked for a better experience. She is worth every penny! I highly recommend her to any bride needing alterations, but the woman is busy so make sure you give her plenty of time to work on your dress! I am almost a year behind on my review but I have to say Roxie is the best you will ever encounter. She is so detailed oriented and a perfectionist. Works day and night to give you the dress of your dreams. She is truly a wonderful person and you can do no wrong. Roxie is amazing! like a magician with a needle and thread. She did amazing work on my very delicate lace dress. I was a little worried when I picked it up from the dress shop that it wasn’t quite what I was expecting, but Roxie turned it into a dream come true. She had to completely reshape the top of my dress and by the time she was done it fit me beautifully!! She will get the job done perfectly no matter how much work and how many fittings are needed. She is truly committed to doing exceptional work. Plus, she’s super sweet and fun to work with. I highly recommend her! My review for Roxie is waaaaaay overdue! 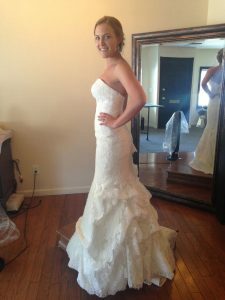 My wedding planner had recommended Roxie for my wedding gown alterations, and I’m so glad I found her! I ordered a very expensive dress from a boutique gown shop in Beverly Hills. When my dress came in, the girl could not zip the back up over my hips – I had not gained weight, they had ordered a too small dress. Roxie basically had to remake the back of my dress, which ended up being way better! She removed the lame zipper and put in a lace-up back. It was a fight to get extra lace from the dress designer as they said more lace wasn’t needed, but both Roxie and I placed calls and emails and finally got the lace. She is such a lovely person that I invited her to my wedding. Roxie came while I was getting ready to help my mom lace up the back of the dress. After pre-wedding pictures, a side seam split and Roxie rushed back to see it. Amazing! She went above and beyond, and I highly recommend her. Roxie was such a wonderful part of my wedding preparations. She is so nice to work with, she clearly loves being a part of The Bride Experience and making it special for every bride. Roxie is an extremely skilled seamstress and she is passionate about design, and her enhancements to my off-the-rack dress made it gorgeous! 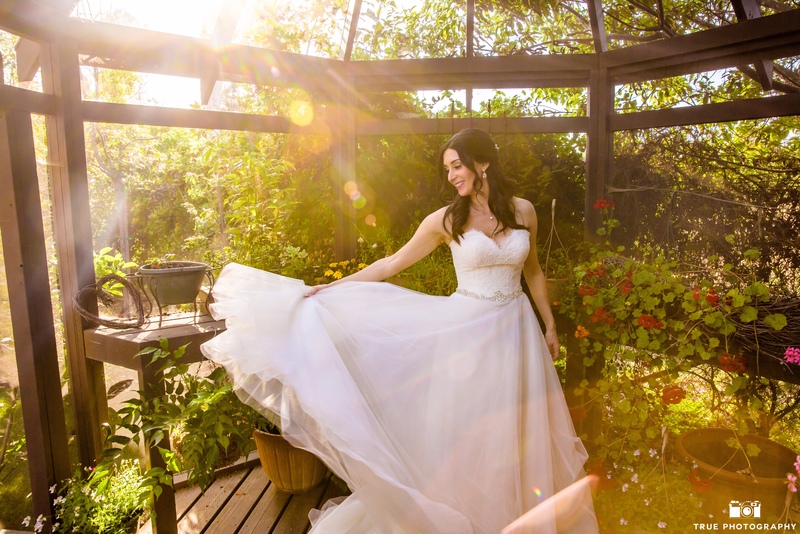 Creating the bustle was her favorite part – she offered a few different options that were hard for me to visualize, so I ultimately turned it over to her and what she designed was perfect for the dress and my shape. It can be stressful to put such a key part of your look in someone else’s hands, but you can trust Roxie to do a beautiful job.